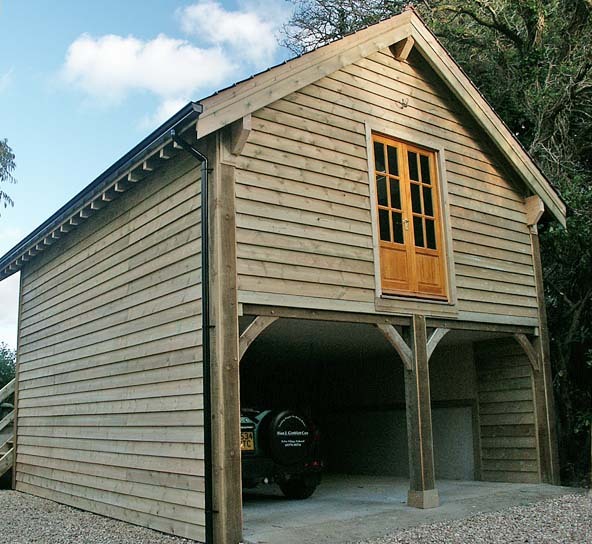 This large and spacious garage houses 2 tall vehicles. 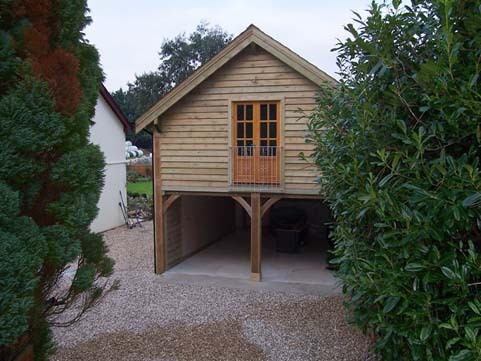 Upstairs is a spacious and warm studio area,maximising the use of the land. 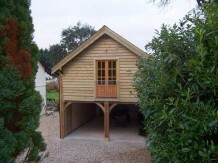 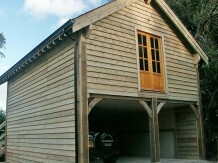 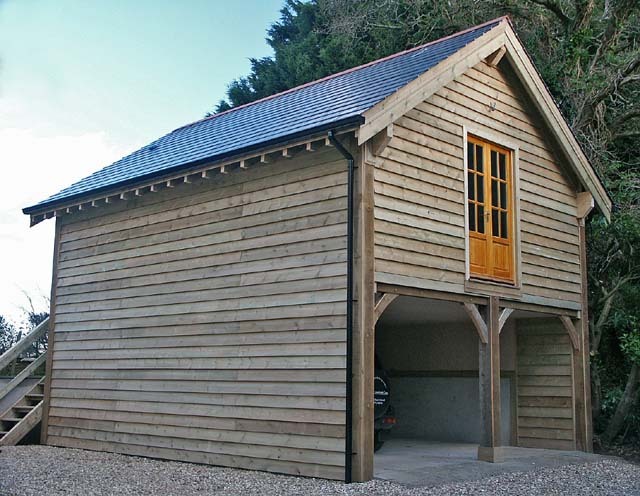 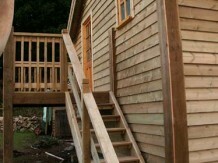 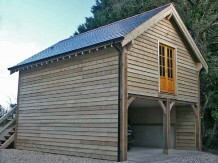 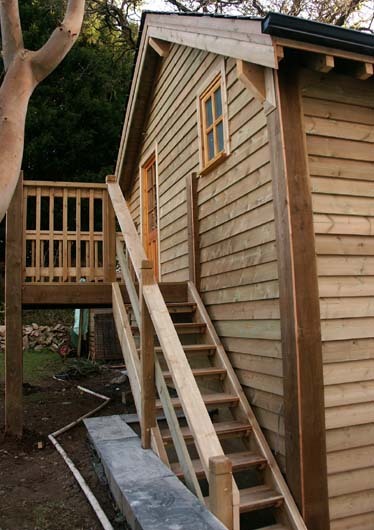 The timber cladding is feather edge, the roof is slate. 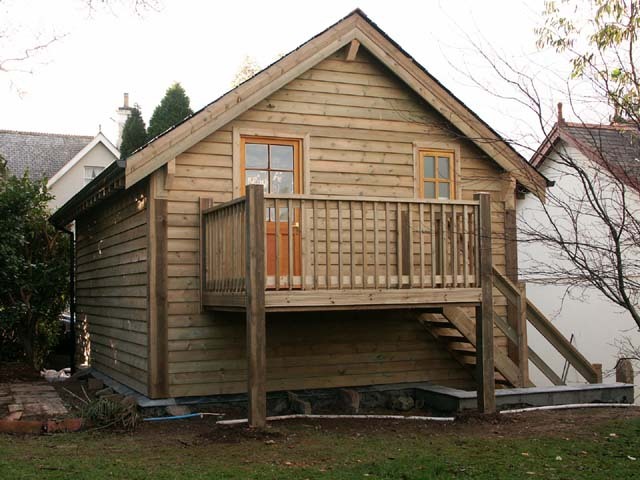 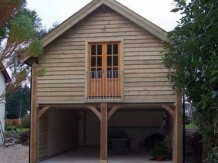 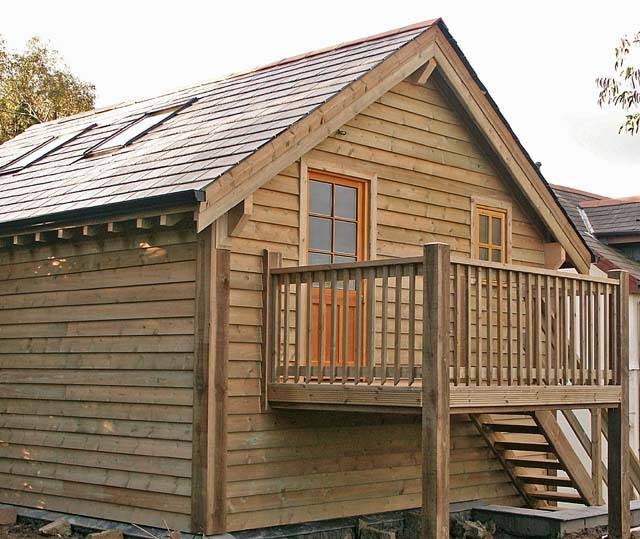 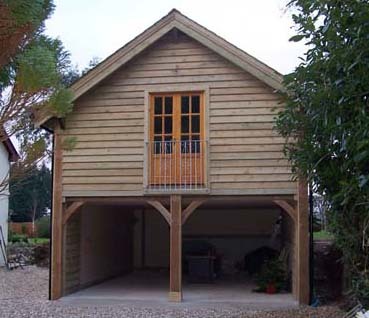 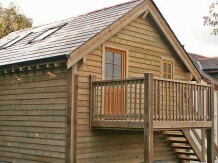 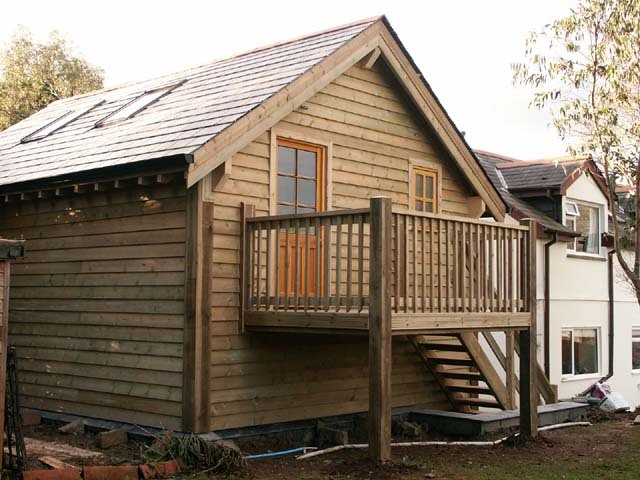 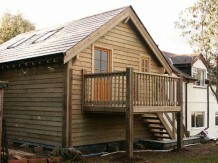 We can supply any style of cladding and roof covering to suit all tastes and budgets.